The Latte Factor® is not the only registered trademark from previous books that David Bach revisits. 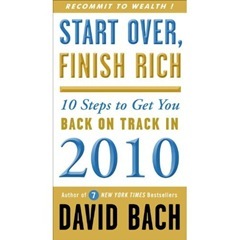 Also making a prominent appearance in Start Over, Finish Rich is the DOLP® debt reduction system. DOLP®, Bach tells us, stands for dead on last payment. What on Earth that means he does not disclose. (Not in this particular volume anyway.) In practical terms DOLP® is a method of deciding which of your debts to pay off first. In what order you should pay off your debts is a surprisingly controversial topic in the personal finance world. The two leading theories are the Debt Snowball, as advocated by Dave Ramsey, in which you pay the smallest debts first, and the Right Way, as advocated by rational people, in which you pay the highest interest rate debts first. DOLP® is, somewhat remarkably, a third method. You divide the outstanding balance on each of your debts by its minimum monthly payment. You then pay off the loan that has the lowest ratio of minimum payment to balance first. Why? Bach doesn’t say. He claims "the DOLP® system works by identifying the card you can pay off most quickly…." But, assuming that that was your goal, isn’t the card you can pay off most quickly simply the one with the lowest balance? That is, wouldn’t the Debt Snowball be the way to go? Alternatively, if you assume that minimum payments as a ratio to the outstanding balance are proportionate to the interest rate, which is very roughly true, then DOLP® amounts to paying the highest interest rate first. Approximately. But if this is what Bach wants the reader to do, why not just say so? Does Bach think that sorting by interest rate is too complicated? Or perhaps he thinks it is not complicated enough. After explaining the mechanics of DOLP®, which includes a worksheet you can download from the web, Bach triumphantly declares "now you have a system to free you from credit card debt." It is clearly important that he is giving the reader not merely advice but a system, a finely engineered machine that will take care of the reader’s problems. Just beneath the surface of the advice of all the personal finance gurus is a concern with the psychology of the audience. Bach, refreshingly, is relatively candid about this. He actually comes out and says that his principal challenge is not getting people to believe that his advice is valid but that they can actually pull it off. So a great deal of what Bach tells his readers to do is less focused on making them rich than on giving them the feeling that things are under control and that they are on their way to being rich. The main benefit of DOLP® is not really paying off debt in a mysteriously optimal order, but the feeling of reassuring control the reader will get when he makes a table of his debts and applies a "system" to them. A surprisingly large portion of Start Over, Finish Rich discusses simple bookkeeping and the tidy organization of papers. There is a lengthy and detailed description of the FinishRich File Folder System, including what stationery to get, how to label the folders, and which documents to keep in them. Bach asserts that many people "waste literally hundreds and sometimes thousands of dollars a year" on interest and late fees merely because they cannot physically locate their bills. I have a hard time believing that very much of the interest and late fees paid in this country is due to mere untidiness, but I can see the therapeutic value of neatly labeled file folders for those overwhelmed by money issues. Other than "latte", the word most closely associated with David Bach is "automatic." Central to his program, as described in Start Over, Finish Rich and all his books, is the admonition to "make it automatic." By this he means that you should set up a web of automated payments and direct deposits that will take care of your bills and see to it that you save, without any further action on your part. Of course, making it automatic is also a tidy system that will calm fears. Like DOLP®, it is a machine that can be applied to your problems, giving you a reassuring sense of control and of forward motion towards your goals. I object to Bach’s automation scheme for several reasons. At the margin it can cause some poor money decisions. Although he doesn’t say so, I believe that Bach’s moth-to-flame attraction to homeownership has a lot to do with its automating side effects rather than direct economic benefits. A house is a large illiquid store of wealth that is, relatively, hard to tap. And the part of the monthly mortgage payments that go to principal are forced saving. Another objection is that automating works by creating a false sense of scarcity and by reducing the number of choices available to the consumer. The basic idea is that you should arrange to have a generous slice of your paycheck automatically salted away before you can get your irresponsible little hands on it. As a rule, I think more options in life are a good thing, even if a few of them are poor. And I have difficulty with any system that relies on my treating myself as if I were two people, a wise one with foresight and a foolish one who can be tricked by the wise one. But what makes me most uncomfortable with automation, and with Bach’s entire program of tidy schemes, is the message that it sends. 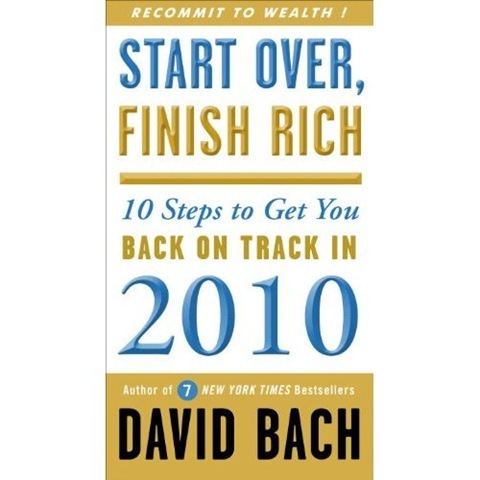 Ultimately, Bach is not saying that you are able to control your finances. He is saying that you can only do so with the assistance of elaborate artificial means. You lack the willpower, or are perhaps just too stupid, to pay off your credit cards without a scorecard and a special method. And you certainly cannot expect to be able to save if given the option to spend, so don’t even try. I am not naive enough to believe that there are not millions of Americans for whom this description fits. But the vast majority are at least capable of operating without elaborate tricks. Bach does not think so, telling us that in his years of doing this he has only ever met one guy who could follow a financial plan "manually." That’s a terrible message to send. “dead on last payment” reminds me of the advice that your last check should be to the undertaker – and that it should bounce. But I doubt that’s what he means. The minimum payment is not directly proportional to the interest rate. Its a bit arbitrary. I’ve heard of minimum payments as low as 1% and as high as 5%. My Amex card has a minimum payment that is about 2% of the balance with a 13.2% finance rate. My Citi card has a roughly 1.5% minimum payment rate with interest of 19.2%. You might notice that the Citi minimum payment rate is roughly an interest only payment. Some cards with a 1% minimum payment and charge rate >12% will let you dig into debt further. Sneaky. I have no idea how the DOLP system could have any benefit over paying the Ramsey method or the Right Way. Given that minimum payment rates are arbitrary the DOLP seems to be based on something purely arbitrary. His logic is that those high minimum payment:interest payment ratios are not going to pay themselves off just by making the minimum payment. So if you will at some point fall off the bandwagon and go back to minimum-payments only, you’re best off to be rid of those, and just stuck with minimums that might actually rid you of meaningful amounts of debt all on their own. Like the Ramsey method, there’s cases where the side benefits of the system may be advantageous enough to outweigh the costs of carrying your higher interest debts longer. But they again come down to personal control issues. So what method is best in the general case ends up depending on what portion of the population you believe can stick to the most efficient plan. Frank has a surprising amount of faith in the general public. Are you opposed to automation (of finances) in general? Or just to Bach’s particular automation scheme? The distinction between different “you”s is not as outlandish as you might think. I’ve read about research showing that “present you” and “future you” are different people. That might be why it’s hard to save – present you, who is actually you, has to give something up just so future you, who is some other person you only sort of care about, can have money later. That’s also why “save more later” programs can work – present you doesn’t have to give anything up; it all comes from future you, that sucker. Also, personally I like automation. Other than my Roth IRA contribution, which I eagerly make every January, in general everything in my life is either automated or doesn’t happen. Sorry I had to lol at the two methods (debt snowball and The Right Way). Awesome. And so true. Unfortunately, I agree with the above commentor about you having perhaps a bit too much faith in the general public. Certainly not the same public that reads and comments on your site (or other PF blogs), but on John Blue Collar out there and his family, they really do need to hide their own money from themselves. Also, there is something a bit comforting about knowing the first thing you do is pay yourself and then just spend the rest. I am a fan of automation for some bills (insurance) but not others (utilities). No idea why that is. But for saving, why not make it automatic? Its just a bit easier. Even for those with the willpower not to run out and spend all our money on lattes (R). @Mike Piper I’m pretty sure the objection is not to the automation scheme itself, but to the message that we need automation to be financially competent. Promoting automation as a tool to be more organized and efficient is a more positive message than promoting it as dependency. Ah, hell. As of today, I’m no longer saving for retirement, if some other guys is going to reap the benefits. freeloading b@stard. Oblivious Mike & Susan Tiner: I’m all in favor of making life easier. Automation so a person doesn’t have to put stamps on envelopes and mail them is a good thing. It’s automation in the name of self-hypnosis that I have an issue with. And just to anticipate your follow up question, Mike, I don’t have an objection to the automation aspects of oblivious investing. Setting aside a certain portion of your income, putting it in a set asset allocation, and than all but ignoring it while you get on with your life sounds like a great idea. But Bach goes a lot farther than that. But his program is saying to pay off the debt that has the highest minimum payment % first. THe advice is to “You divide the outstanding balance on each of your debts by its minimum monthly payment. You then pay off the loan that has the lowest ratio of minimum payment to balance first.” So with equal debt levels you’re paying the cards with higher minimums first. Take the example of my Amex with the 2% minimum and 13% interest versus the Citi with the 1.5% minimum and 19% interest. If I owe $5000 on both of those then the debt / minimum for the Amex is lower than the debt / minimum for the Citi. So Bach would advise me to pay the Amex first. If I did that and then fell off the bandwagon I’d be left with the Citi with its low minimum which is virtually an interest only payment. I think it’s similar to the story about cake mix, that cake mixes that only required water were “too easy” and were shunned by many housewives. Advice telling you to pay the most expensive debt first (highest interest rate) is “too easy”; it’s insultingly obvious and only takes a couple sentences to explain. What Bach’s readers need is a “system”, one with a fancy acronym and an equally-fancy spreadsheet. After investing 20 minutes playing with the spreadsheet, readers can feel good about “understanding” the system, about as good as they feel after dropping two eggs into the cake mix along with the water. The statistic on money wasted from “untidiness” is interesting. I would be more interested in a statistic on how much money is wasted on books implicitly promising the reader that they will be rich by following the author’s blueprint to prosperity. The author would do readers a greater service by telling them to write a book with the word “rich” on the cover and a large image of a fist holding a wad of cash (sarcasm intended)! A couple of people at my job are getting massive tax returns. I told them they should adjust their withholding, and not loan the gov’t so much money throughout the year. The thing is, they realize that its the same amount of money either way, but they are completely unable to budget – and they know it! People like this could probably benefit from David Bach’s advice. Automated saving is the only saving they will do. People like us who read finance blogs for fun probably don’t need advice from pop-finance books. Ah, Jim, I apparently misunderstood. That’s stupid. I guess dead on last payment means you’re dead by the time you make your last payment. Ah, tax refunds. A friend recently contacted me for help retroactively lowering his 2009 tax liability. He had run his return through tax software, found out he owed money instead of getting a refund, and wanted to “give the government as little of my money as possible.” Tax liability != refund/amount due in april. I totally understand why people would want to automate as much of their finances as possible. I think it comes down to that theory that you so only have so much willpower, and once it’s gone, you cave in. So, I think automation is the right path for a LOT of people, but I’m not a fan of Bach’s flavor of automating. One, he views buying a home as the ultimate forced savings/investment plan, which is why he encourages everyone to get one ASAP. Two, this DOLP is a retarded concept with no clear benefit other than the fact that he could trademark it and then fill up a book explaining it. I haven’t used an automatic plan for 3-4 years, and my net worth has held up despite some really rough times. But clearly I’m unusual – a money obsessive. For normal people who read the sports pages first, not the stocks pages, I do suspect the automatic approach is the way forward. I’m now seeing the results of friends and ex-girlfriends I put onto this approach years ago, and it really works.